In Ohio certain Infectious Diseases must be reported to the local health jurisdiction of the individual’s residence or location of outbreak. 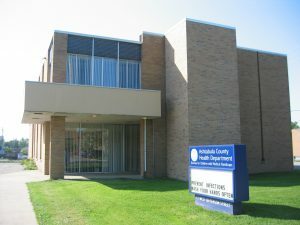 To report a Class A Infectious Disease to the Ashtabula County Health Department, call immediately 440-576-3023. If you are calling during off hours you are instructed to contact the Ashtabula County Dispatch at 440-576-0055 and ask for a health official to contact you. Class A: Diseases on this list must be reported immediately by telephone as soon as a case is recognized, suspected or confirmed. See the list of Class A diseases here. Class B: Diseases on this list are of public health concern because of the potential for epidemic spread. They must be reported by the end of the next business day after the existence of a case, a suspected case, or a positive laboratory result is known. See the list of Class B diseases here. For Class C: These infectious diseases, outbreaks, unusual incidents or epidemics must be reported by the end of the next business day. Examples might be histoplasmosis, pediculosis, scabies, or staphylococcal infections. See the list of Class C diseases here.